In a developed country like United State, each year, almost 7,95,000 people are living an afterlife of brain stroke and are struggling to cope up with the same. Further, according to the recent declaration of United Kingdom at least 1 out of 3 people are experiencing issues with communication and speedy recovery, post-stroke attack. A stroke is commonly referred to as a brain trauma blocking passage of oxygenated blood to the brain that may result in the intense bleeding. Experts in this regard further suggest that a stroke survivor may suffer from reduced communication ability as well as impaired cognitive thinking, since their brains have experienced trauma. To cope with the frustrating and traumatic situation, it is important to undergo post-stroke rehabilitation that can be helpful in regaining some or all skills. The current write-up in this regard is intended to offer insights from other patients and experts in order to achieve faster recovery. Prior to actual stroke attack, some warning signs can be displayed identified to be as Temporary Stroke Symptoms also known as transient ischemic attacks. Noting these symptoms can be helpful in availing faster medical aid. The post-stroke attack, a person can experience paralysis and/or weakness on one side of the body and may also come across the challenges associated with difficulty in thinking, awareness, attention, learning, judgmental abilities and memory. A person may also experience mood swings or emotional turbulence due to the continuous steroidal intake. Aphasia, also termed dysphasia is generally being characterized as damaged language centers of the brain, primarily influencing communication. The aphasia can further be categorized into Receptive Aphasia and Expressive Aphasia. In the former case, it is quite difficult for a person to understand sentences that are too long and complex. The severity is obvious if there is a background of noise, or if more than one person is involved in conversations. The person may reportedly complain about the incoherent speech. Contrary to which, the person with expressive aphasia can experience difficulty in speaking. Often it is observed that the person, post-stroke treatment is not able to make a coherent, grammatically correct statement with the information that has been processed already in his mind. Studies have indicated that damage to different locations of the brain may lead to an exhibition of different types of aphasia severely affecting all aspects of communication. Dysarthria and dyspraxia are associated with weakened muscular strength. Thus, a person exhibiting above condition may have slurred speech with limited ability to communicate effectively. Dyspraxia is the condition characterized by reduced movement, lack of coordination, decreased muscular strength and confusing slurry speech. Other common changes noted by experts may include a loss of voice tone, fixed facial expression, inability to be active in the conversation, etc. Depending upon the areas of damage, a stroke survivor can experience different issues, such as tiredness, fatigue, stress, personality related changes, hampered communication, low self-esteem, mood swings, etc. 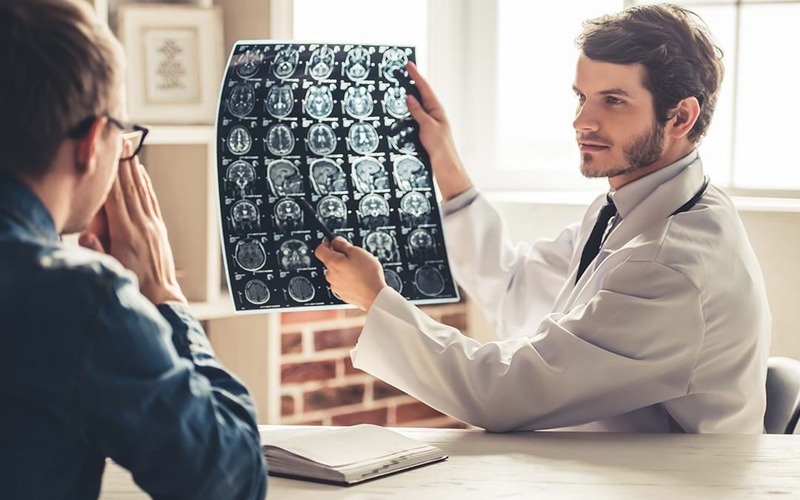 Studies all over the globe have evidently proven that stem cell therapy has certainly been very helpful for stroke survivors to undergo accelerated recovery. The tremendous potential of stem cells to undergo quickly targeted differentiation into desired cell types can be helpful in the faster regeneration of damaged neurons that can be helpful for faster functional restoration.